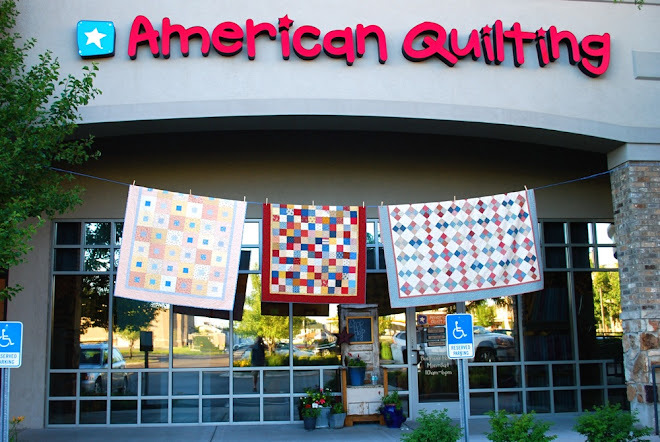 AmericanQuilting: Quilter's Garden Party this Thursday! Quilter's Garden Party this Thursday! Come see a fantastic quilt show and enjoy a yummy ice cream sundae! We are still taking quilt submissions at the store until Thursday morning. (426 West 800 North, Orem). Wow, all these quilts in the garden are beautiful...thanks for sharing. Have a great week!